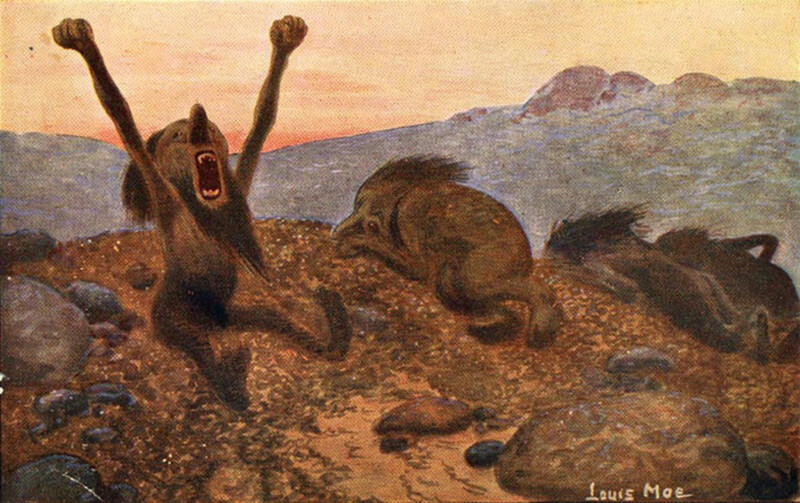 Vintage postcard from 1918, with a scene of trolls in the hills of Denmark. Trolls. Stupid, ugly, lumbering, slow-witted creatures that turn to stone when the sun rises. Fond of goat meat, we tell stories to our children to give them a scare. Yet there is far more to these mythical creatures than the above stereotype. Depending on which part of the country you are in, you will hear different stories and descriptions. The folklore is really quite charming, and these beings are some wonderful ambassadors to the feral world of wild Denmark. When we picture a troll, we think of grotesque creatures that live under bridges and eat children. We also might think of giants that have turned to stone. This version seems to have filtered through into wider culture through Norwegian and Swedish folklore. We must remember that there are many regional variations across the country. The trolls of Zealand are about the size of a child, whilst the trolls of Jutland seem to be larger. Many are portrayed as ugly creatures, yet some portrayals of trolls have more in common in appearance with what we might call a gnome, albeit a larger version. Whatever they look like, trolls have left their mark upon the land whether it be the hills, mounds, or forests. 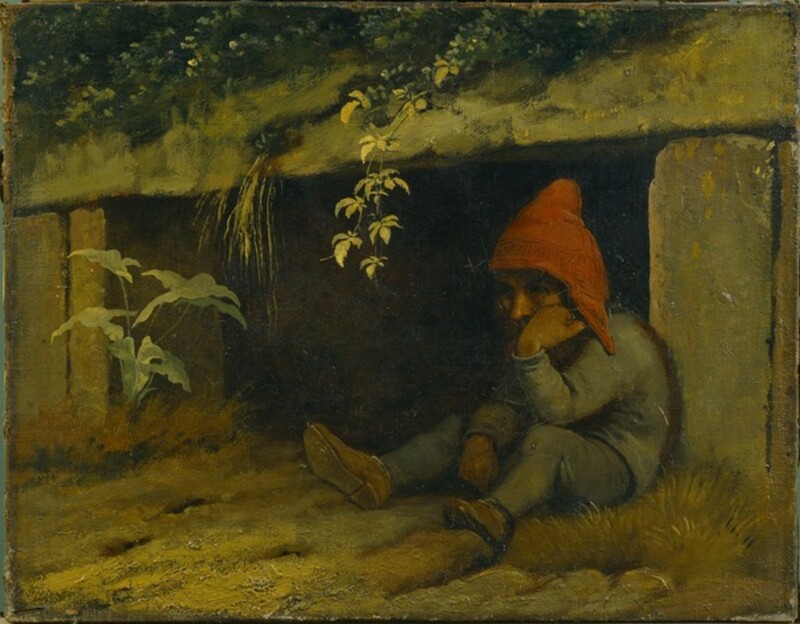 The Troll Sindre outside his Cave by Johan Thomas Lundby. Note the runes across his cap. From the Hirchsprung Collection in Copenhagen. This story is a folktale from "The Danish Fairy Book". It is a charming example of how trolls can be benevolent beings with their own magic. "Near Roskilde in Zealand, there once lived a man named Peter Anderson. He lived in a small farm overlooked by a hillock, which happened to be the dwelling place of a number of trolls. One day, the troll family was celebrating a wedding. There was much singing and merriment until nightfall when they found that they had run out of ale. The guests all started to complain loudly, and the din was so noisy that poor Peter could not sleep. One of the trolls went to the farmstead and banged the door three times. The farmer opened the door warily and stared at the strange looking man, who asked, "Will you help me out, and loan me a cask of ale, Peter Anderson? I will return the favour when we have brewed some more of our own." "Who are you and where do you live?" asked the farmer, a little surprised that his visitor already knew his name. "I am the man from the hillock over there," said the troll. "Yes, well go down to the cellar and help yourself to a cask. I have a barrel spare," said the Peter, his hand trembling as he held a candlestick. The troll grunted with a nod, then went to the cellar, got the ale and went home with it. The farmer was much surprised and a little shaken by his experience. He had not expected to have his ale returned, but a few nights later there was loud knocking on the door. Peter woke up with a start and asked in his bravest voice, "Who is knocking at this late hour?" "It is I," said the troll, "I am bringing back the ale I borrowed from you. The cask has been placed in your cellar and am going to reward you for your kindness. You can draw from the cask for as long as you wish and it will never grow empty. But you must not look in it! Goodbye!" And off went the troll, back to his family in the hills. Well Peter Anderson was most surprised and was not sure what to make of it. 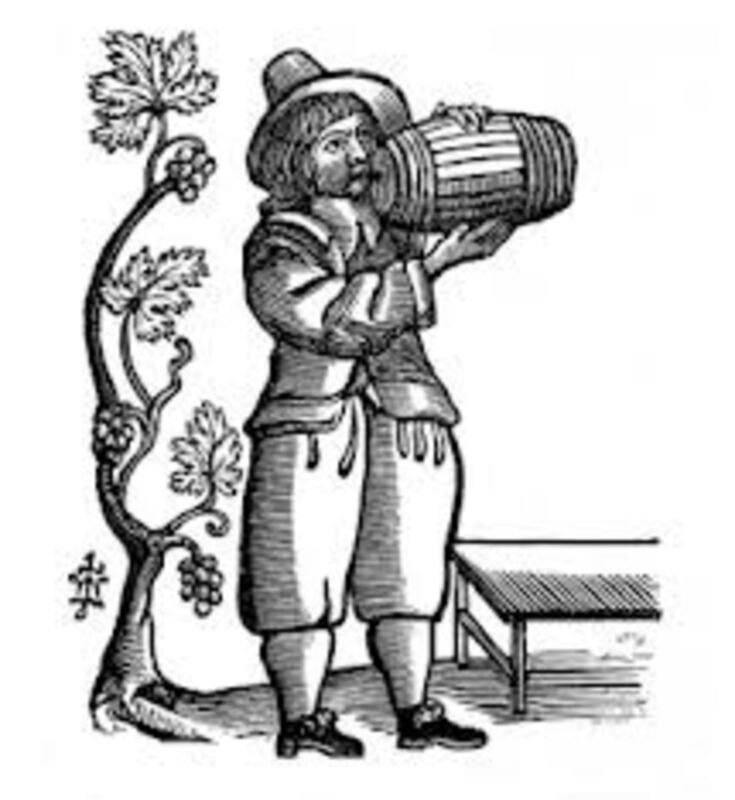 So he invited all of his friends to his farmhouse and they all pulled themselves a tankard of ale, and another, and another, and soon they were very merry indeed and the cask was still not empty. The troll had spoken the truth. The cask seemed to be magical and always had golden ale whenever anyone drew from it. The troll's warning was remembered well and nobody ever looked into it. Unfortunately, a new maid came to work at the farm who was very curious. She was determined to look in the cask to see what was going on, and so one day when the men were out in the fields, she snuck down into the cellar and opened it up. What a fright she had when she saw that it was full of toads! From that moment onwards, there was no more trollbrew, and the farm had to do with making their own ale again." The folklore is really quite charming, and these beings are some wonderful ambassadors to the feral world of wild Denmark. In 1817, Just Mathias Thiele, inspired by Germany's Brothers Grimm, began to travel around Denmark and catalogue and record Danish folktales. He was an art historian and writer and felt that it was very important to record the stories of his home country. There were plenty of tales to tell; he produced a four-volume collection called "Danske Folkesagn" (Danish Folktales) which was published between 1819 and 1823. His work was greatly influential, and provided material for poets and writers to come, including Hans Christian Anderson. Gertrud and Celte the troll by Johan Thomas Lundby. 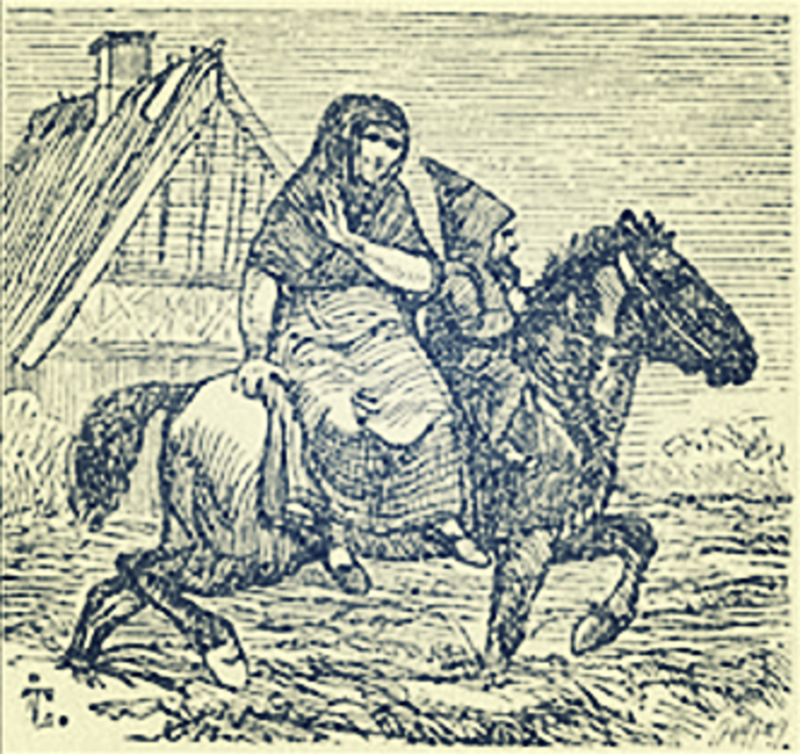 This folktale is from J. M. Thiele's "Danske Folkesagn" with illustrations by Johan Thomas Lundbye. 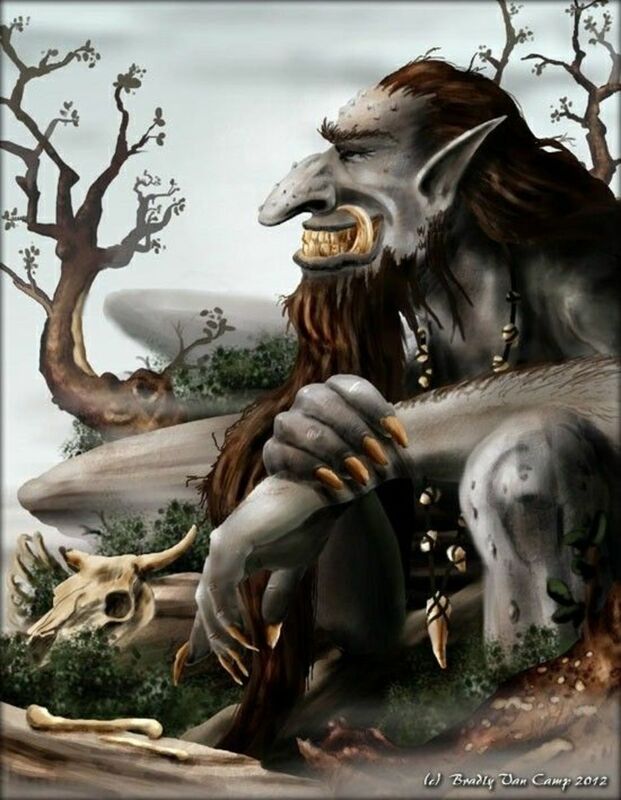 The story is from Zealand, and you will see that the troll is portrayed as a small fellow, about the size of a child. "There once was a midwife named Gertrud. She had just helped with the successful birth of a new baby and was making her way back home, when she saw a toad along the side of the road with a silk thread wrapped around one of its legs. Gertrud recognised that the toad was pregnant and promised to help the toad to give birth when the time had come. A few months passed when Gertrud heard a knock on her door at night, which was not unusual for a midwife, whose vocation caused her to be disturbed at all hours to help women in childbirth. Outside stood a small but broad-shouldered man with a large head. He wore a grey suit and cap, quite unlike the clothes of the peasants in this part of Denmark. The man gave a bow and introduced himself, "Good evening midwife. My name is Celte, and you promised my wife that you would help her to give birth. The time has now come, will you follow me to help her?" Gertrud then realised that the Celte's wife must have been the toad that she had met, and knew that she must keep her word as she was dealing with trolls. 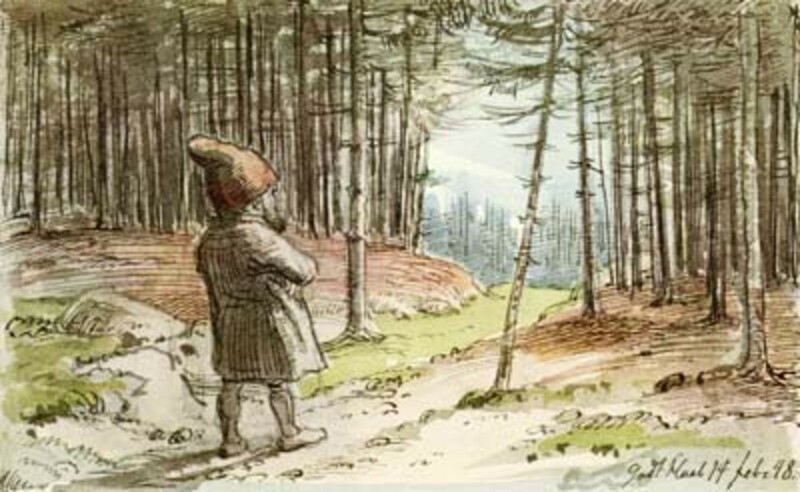 So she followed the little man to a nearby hill which was known as a troll's hill. 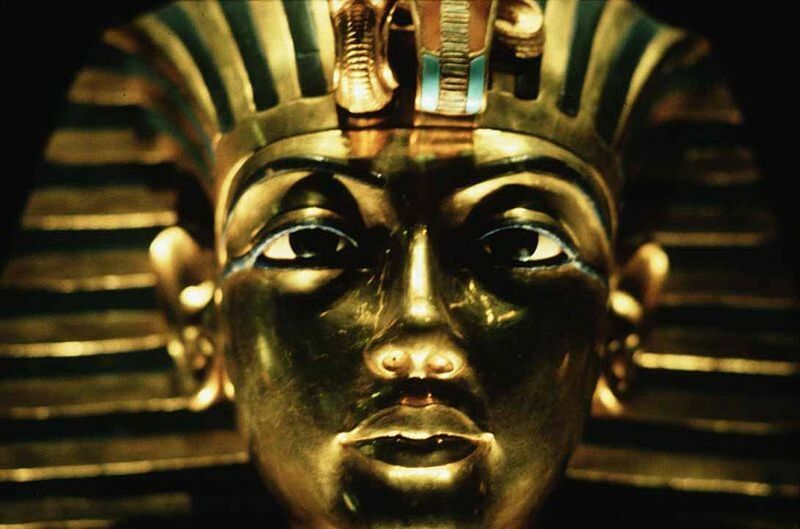 Celte led her into a dark cave in the soil with big stones around the mouth, where his wife was close to giving birth. As Gertrud assisted the troll-woman, Celte passed her a small glass bottle explaining, "You must pour a drop of this into the baby's eyes the moment it is born." The midwife agreed, but was curious and put a dab of the potion into her own right eye. 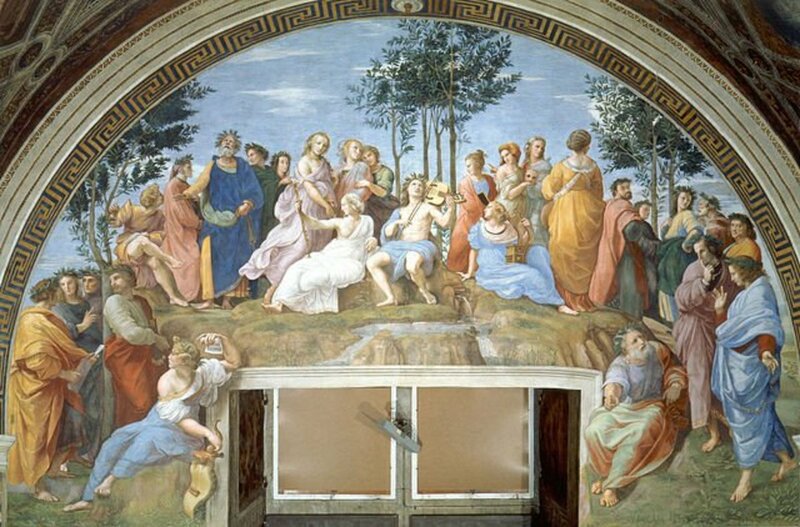 She could then see with that eye that the cave was not a drab soil hole in the hill, but a beautiful hall that shone with sparkling gemstones. She gasped with astonishment, but continued with her work, dabbing the troll-woman's brow and encouraging her to give birth to the baby. 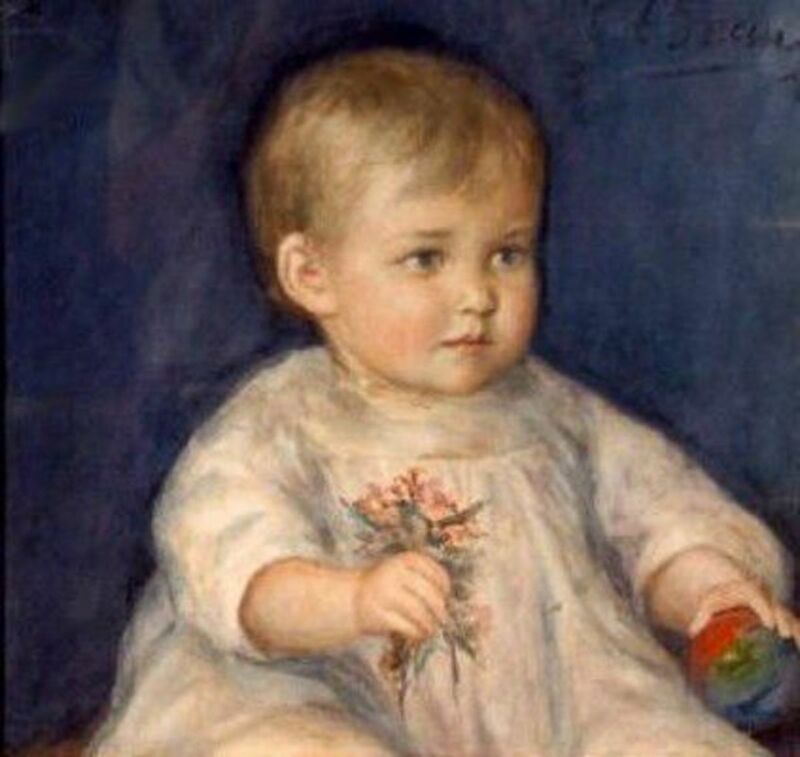 Finally the infant was born, and as it uttered its first cry Gertrud poured drops of the magical liquid into the child's eyes. She passed the baby to the troll-woman and then cut the cord. As she clutched her infant to her breast, the troll-woman thanked Gertrud, but urged her, "You must go now. Escape quickly or else great danger will befall you." Trolls are not known as their fondness for Christian folk, especially once they have caught them in their lairs, so Gertrud did the sensible thing, refusing payment for her service and ran as swiftly as she could back to her village and home. Gertrud did not speak of her unusual task to anyone and months passed by quietly for her. Harvest time came and she was out in the field with one of her neighbours helping to turn sheaves of ripe barley as it dried in the sun, when she saw Celte once more. The little man would take a sheave of ripe barley from a stack before carrying it over to a hill overlooking her neighbour's field. Gertrud watched him do this three times before speaking to him, "Hello there Celte, what are you doing?" The troll stopped abruptly and looked at her in surprise. "You can see me?" "Close your left eye. Can you still see me?" Celte asked. "Yes," replied Gertrud. "You are still there." "Close your right eye. Can you still see me?" "No. Now isn't that strange?" replied Gertrud. Just at that moment she felt a sharp and terrible pain, and then her right eye was gone. Celte had vanished, and the midwife never saw a troll after that. Neither did she help this particular neighbour again as he was paying taxes to the trolls in sheaves of barley, and so must not have been a godly Christian man." You need not point out that toads spawn and do not carry live young; this is clearly part of the magic of the story... troll magic in fact! Interestingly, this story has similarities with a folktale from Palestine (replace the troll for a djinn), one from Germany (replace the troll with a dragon), and one from Britain (replace the troll for a fairy). All share the theme of a mortal entering into the service of a magical being and gaining "the sight" which allows them to see the magical world and beings therein. All stories also share the mortal losing an eye to restore them to the mundane normality of human sight. The above photograph is of a "trolde hul" (trolls hole), created when a troll threw a huge rock at the locals in a bid to knock the church down. Trolls certainly are not fond of the introduction to Christianity in Denmark. Like Britain's fairies, they went to great lengths to try to prevent churches being built or even demolish them. 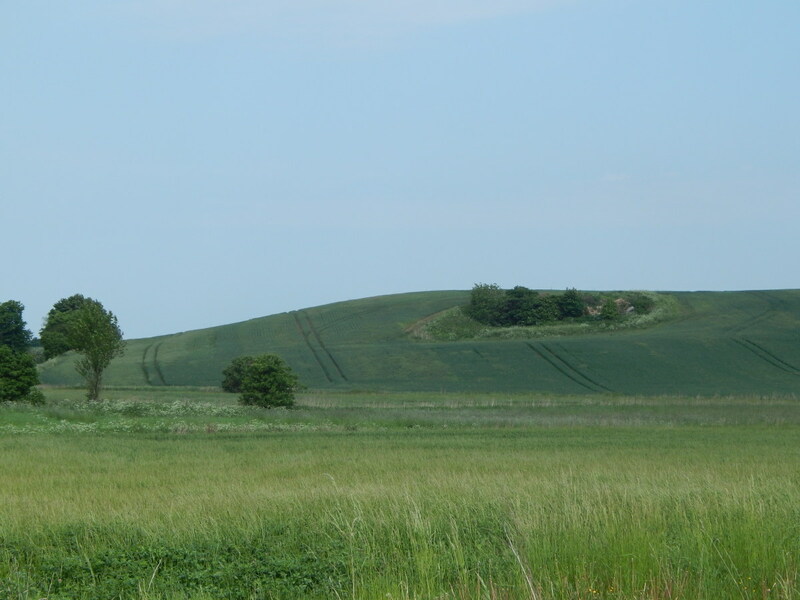 The "crater" on the hillside is one of several which are located near Grønfeld, Midtby, on the mainland east coast of Jutland. It would appear that these trolls are larger in stature than some of their relatives elsewhere. Sindre in the Forest by Johan Thomas Lundby. Trolls are beloved beings to the natives of Denmark, and come in many shapes and sizes. Not to be confused with the dwarf-like Nisse, or giants or pixies, they still charm children and adults alike with their stories and magic. 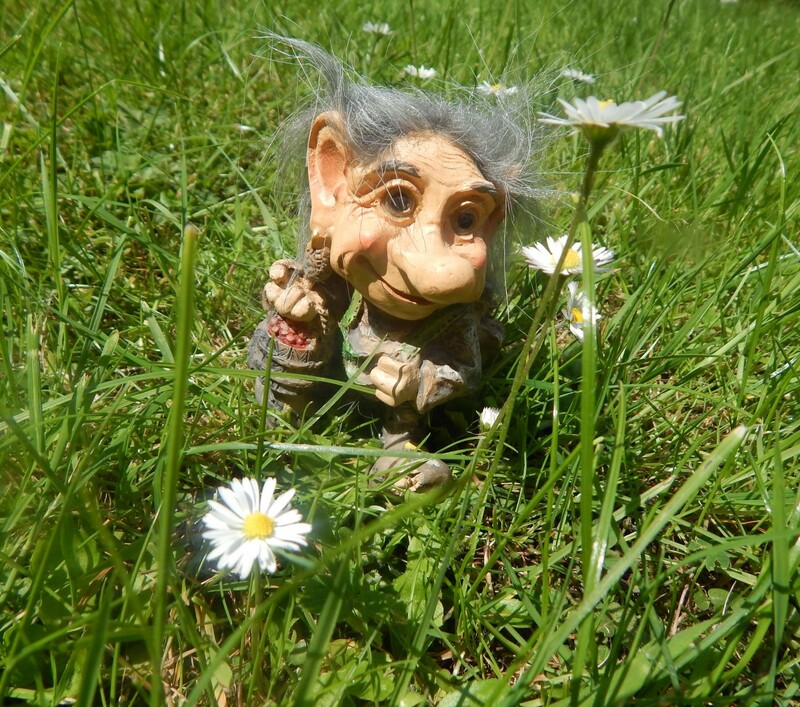 This troll is a favourite from children's stories and lives off the mainland on the island of Bornholm in the Baltic Sea. Meaning "Curly Bully", this troll has curly hair and a curl in his tail, and is bestowed with two small horns on his head like other trolls from this region. It is said that Krølle Bølle was born on the 76m high Langebjerg in Sandvig, where he still lives with his family. Every night at midnight, Langebjerg opens up and all the trolls come out. Krølle Bølle has many exciting adventures at night on Bornholm . This troll and his family are small in stature; again the size of a child. 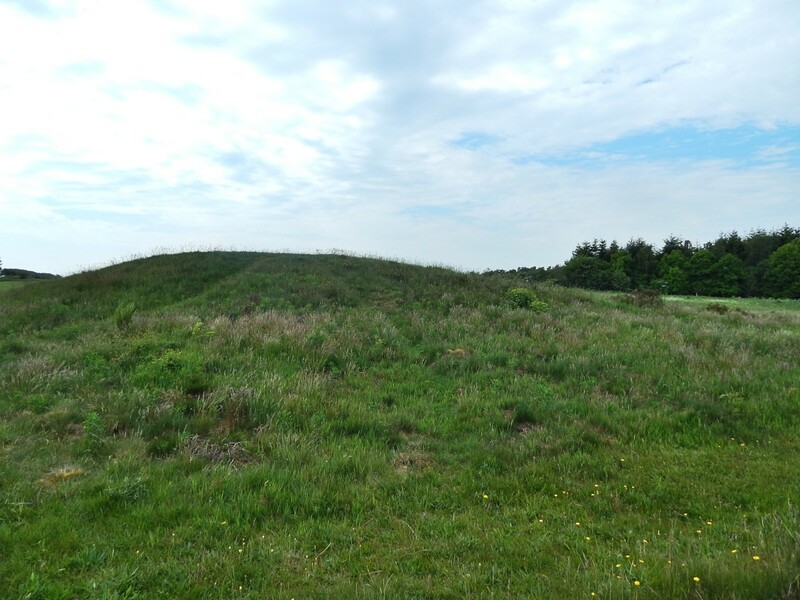 They wear red hats and woollen clothing, and live in old burial mounds where they come out at night. This fellow was invented by the Danish author, Ludvig Mahler, for his son. 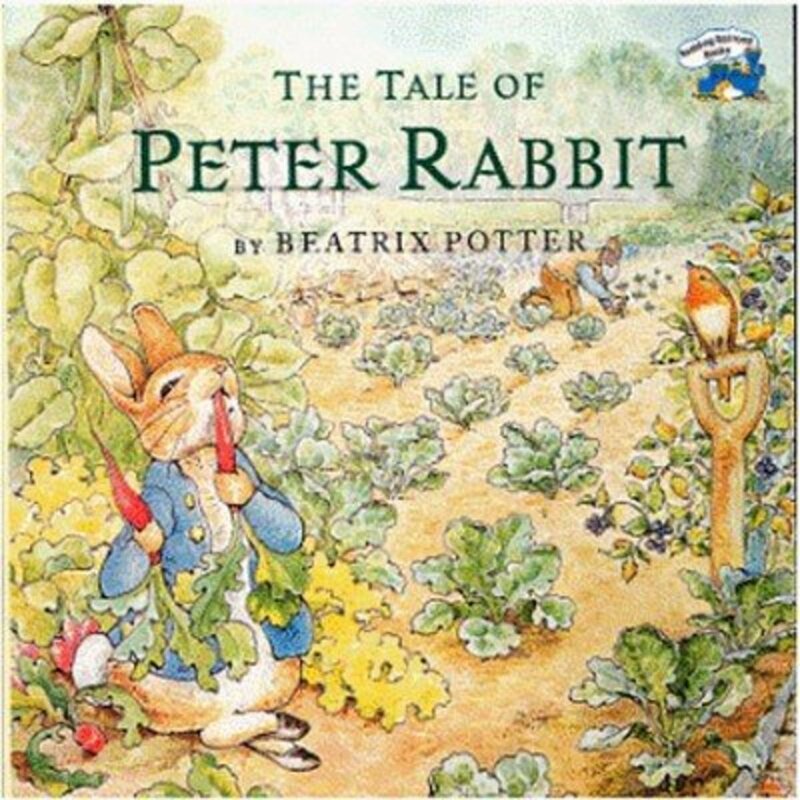 Stories soon became published and were very popular in the 20th Century. 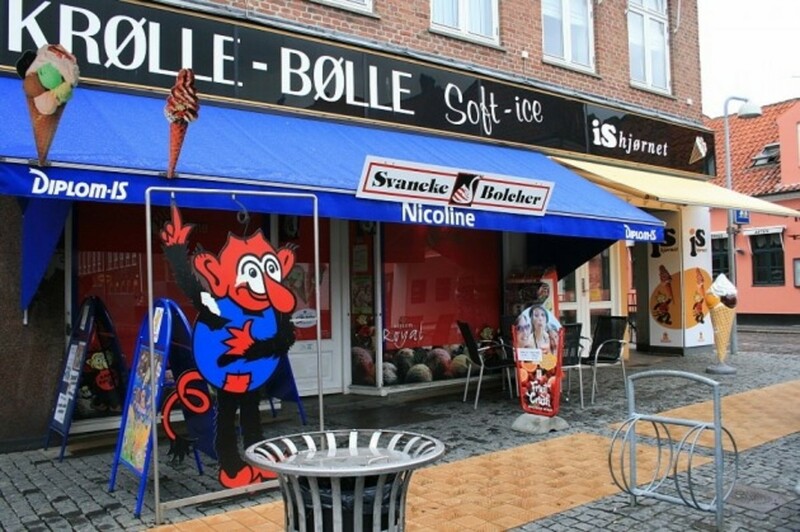 Even today, Krølle Bølle's cheeky face appears on ice-cream stalls and other establishments for children. This troll was inspired by local folklore, and of course, the works of the great Just Mathias Thiele to which we owe much of our stories from Denmark. Krølle Bølle makes an appearance in Svaneke. It's hard to avoid trolls in Denmark. So do take care, especially if you are Christian folk! Thank you mactavers and chris7800, it's great that you enjoyed the read! Great article. I've always found folklore very fascinating. These stories are fun. Thanks for sharing. Thanks James, there are so more stories! But it would have made the article far too long if I included them too so had to pick a couple of the shorter ones. Brilliant! This is fantastic! Your work in it is great and I really enjoyed the quoted stories.